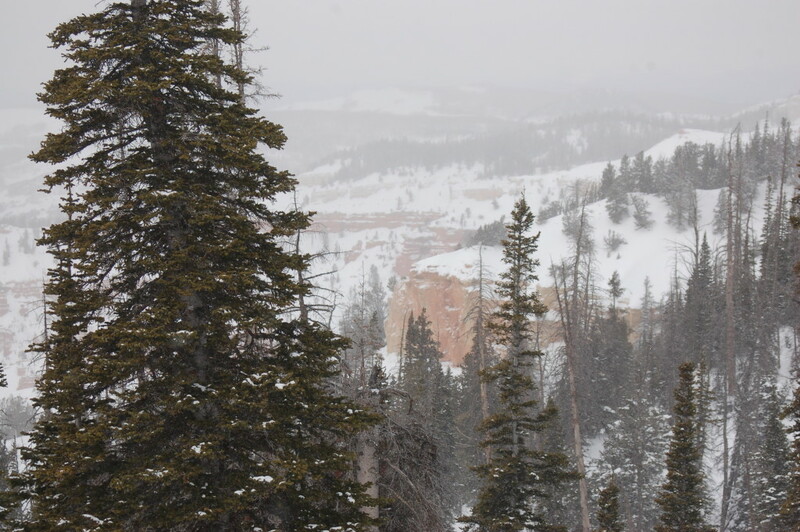 CEDAR BREAKS — In winter at 10,000 feet, the ground rises up so the sky can bend to kiss it, clouds greet trees like old friends and the earth is covered in a pillowy soft expanse of snow that creates a hushed and sacred world. This is the majestic world of Cedar Breaks National Monument in winter, where the line between earth and the heavens is blurred, where crimson rocks peek out from under white frost and silence is a sound of wonder. Cedar Breaks National Monument is a hidden gem among the national parks and monuments of Utah that offers unparalleled scenic views from its lofty perch. The park is open year-round but weather, specifically snowfall, dictates when the road and facilities are accessible to vehicles and open to visitors. In general, Scenic Highway 148 is open during the Summer/Fall season, which typically begins in late May and lasts until the first heavy snowfall, around mid-November. The visitor center with restroom facilities remains open from 9 a.m. to 6 p.m. daily during that time. 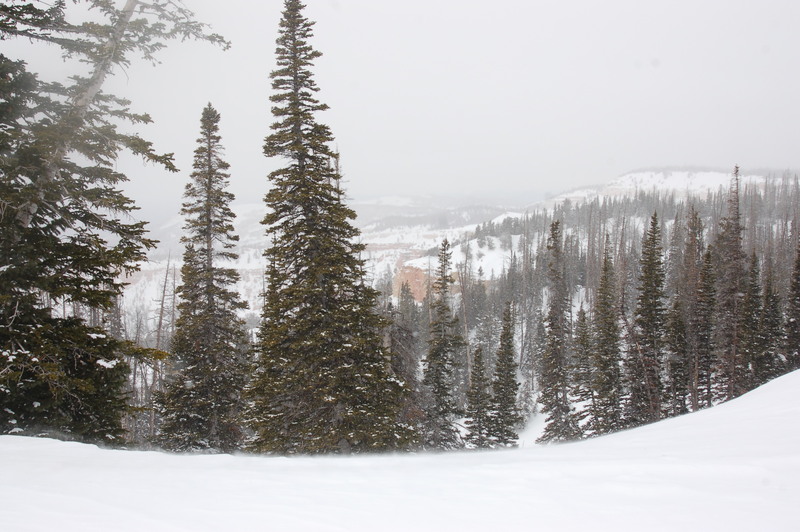 In the Winter/Spring season, the park is accessible for winter recreation, such as snowmobiling, cross-country skiing and snowshoeing. The Winter Ranger Station is open from 11 a.m. to 2 p.m. Saturdays and Sundays, weather permitting, while the road remains closed. There are no restroom facilities available in the park during this season. 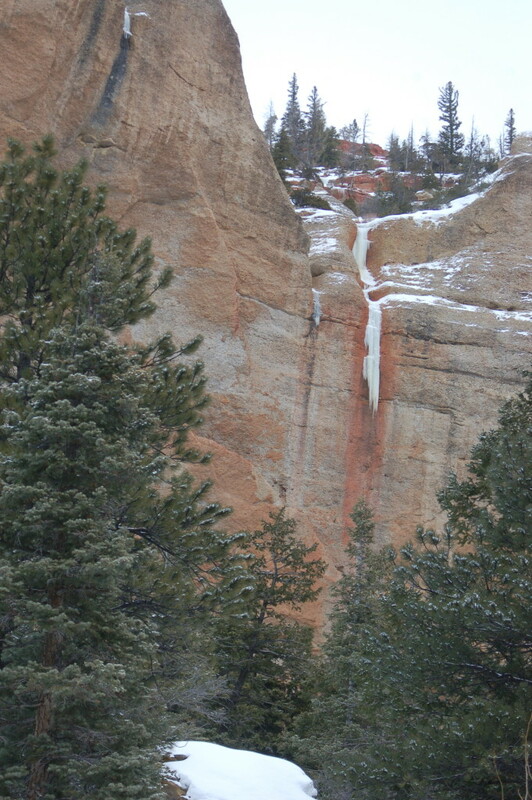 To learn more about park seasons and operating hours visit the Cedar Breaks National Monument Operating Hours and Seasons Web page. 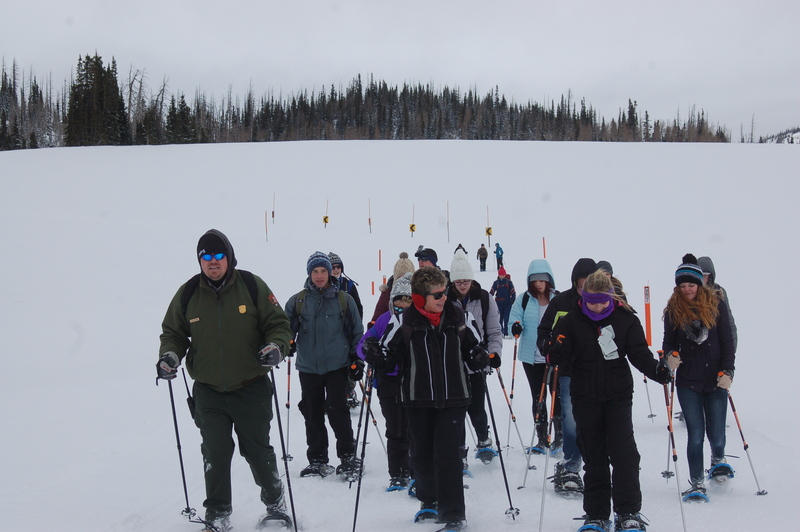 Though the Summer/Fall season remains the most popular for visitors, there is plenty of adventure to be had in wintertime, including ranger guided snowshoeing hikes through the park. For those willing to brave the elements, a wonderful winter adventure awaits. 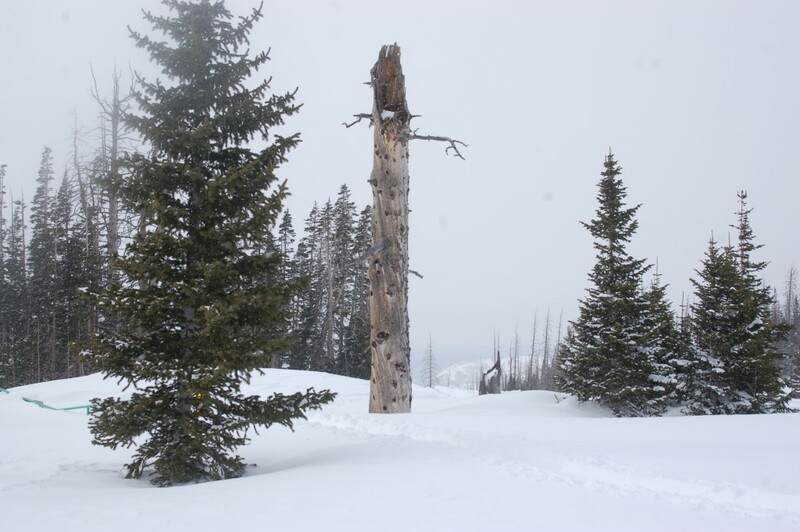 Almost every Saturday (weather permitting) throughout January and February, Cedar Breaks National Monument offers guided snowshoe hikes free of charge to the public. 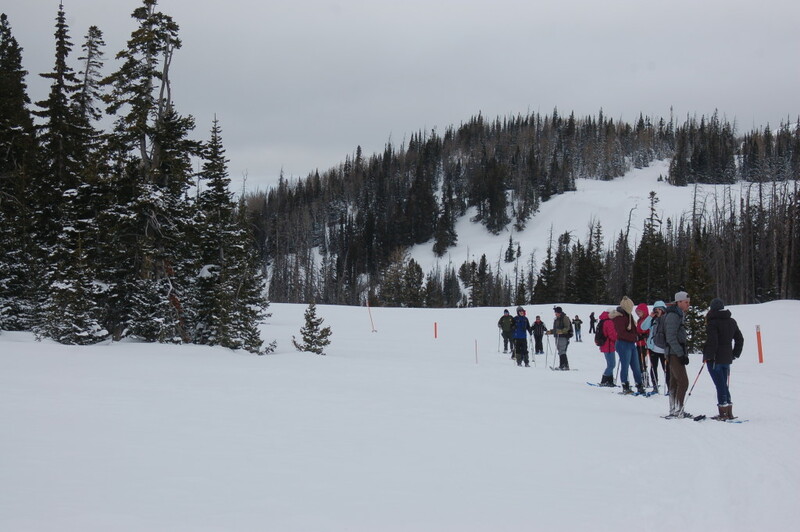 Interpreters from the park take up to 30 guests on a tour of Cedar Breaks’ winter wonders guiding them on a fun-filled and educational walk through one of Utah’s best kept treasures. 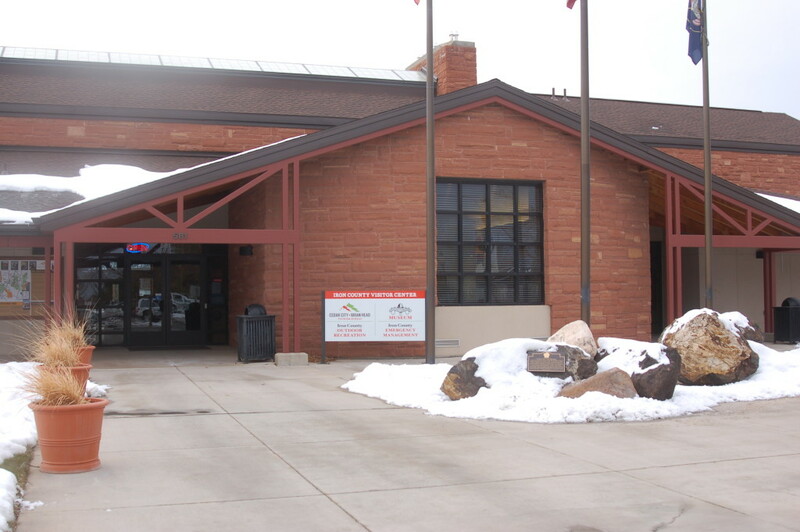 After making reservations, guests gather at the Iron County Visitor Center, 581 N. Main St. in Cedar City, where they meet their guide and then caravan to the hike’s start at the junction of Highways 143 and 148. Anxious for our adventure, we met Ranger Dave Sorensen, or “Dark Ranger Dave,” at the visitor center on a cloudy Saturday at 9:30 a.m. and prepared for our journey. From the visitor center, we traveled north on Interstate 15 to Exit 75 in Parowan, and from there, we followed signs to Hwy. 143 toward Brian Head. 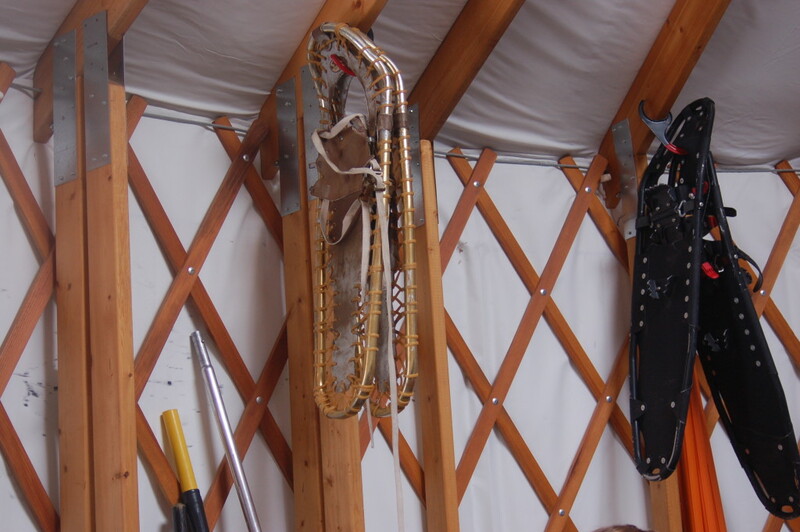 Once at our destination, we were supplied with snowshoes and trekking poles and given a short tutorial on how to properly wear, adjust and use them. Our group of 24 hikers was also given a brief description of the trail and how the hike would work. A minimum of two guides accompanies hikers on the trip; one to lead and one to sweep. 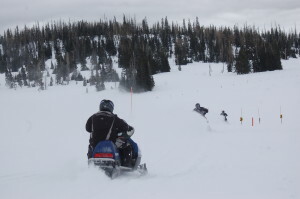 For safety, each interpreter carries a handheld radio to communicate with one another, as well as with other rangers who patrol the park on snowmobiles. 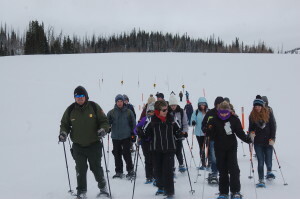 The guided snowshoe hike is appropriate for most ages and abilities, and the group takes several breaks to make sure everyone is together. Guests Meghan Roscher and Macy Heims, nursing students at Southern Utah University, had never been snowshoeing before and were happy that they were able to complete the hike without having prior snowshoeing experience, they said. 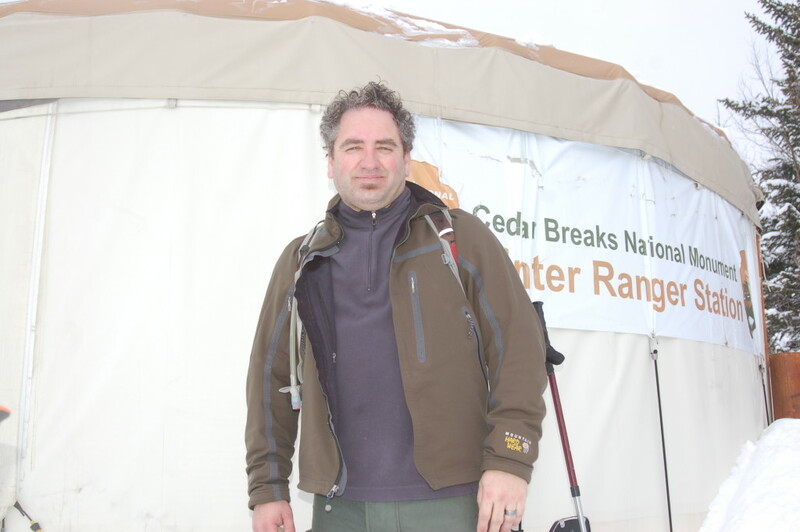 Though the hike is geared toward a broad range of ages and abilities, Cedar Breaks sits at an altitude of 10,000 feet and even very athletic guests will notice a difference in their stamina. Coupled with high-altitude are below freezing temperatures that guests should also be prepared for. 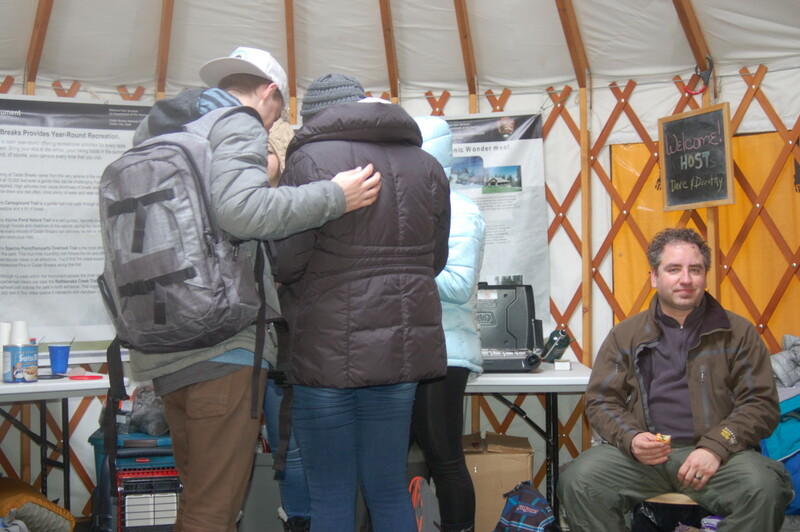 Throughout our adventure, Sorensen pointed out various points of interest in the park and taught the group about the geology, flora, fauna and weather patterns of the park. The hike is two-miles round-trip. 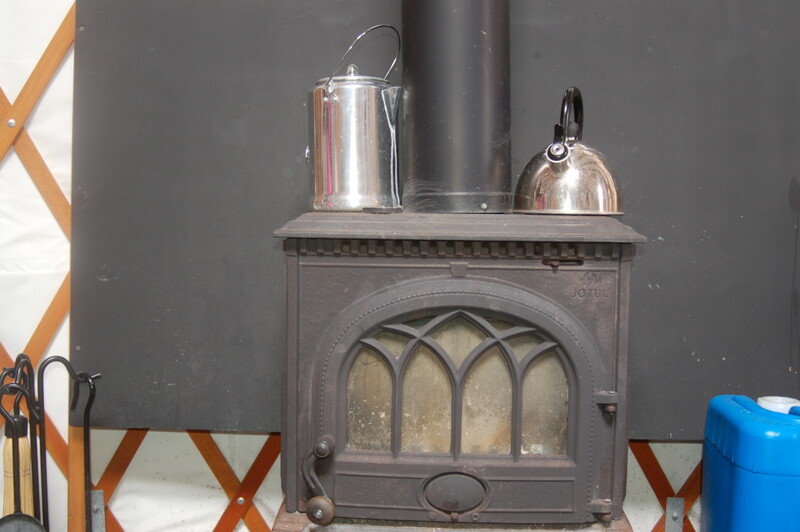 Guests hike from the trail head one mile to the Winter Ranger Station where they are greeted with hot chocolate and a warm stove fire. At the ranger station, guests can eat lunch and stay warm or take a small trail to a vista point before returning one mile to the trail head. Sorensen encouraged any members of the general public who would like to come out and enjoy a guided hike to sign up as soon as possible. The trip is a popular activity. and slots fill up fast. Time: Traveling and hiking time is generally about five-and-a-half hours from 9:30 a.m. to 3 p.m. This includes travel from the Iron County Visitor Center to the hike start, a short tutorial on the gear, the hike and the return trip to Cedar City. 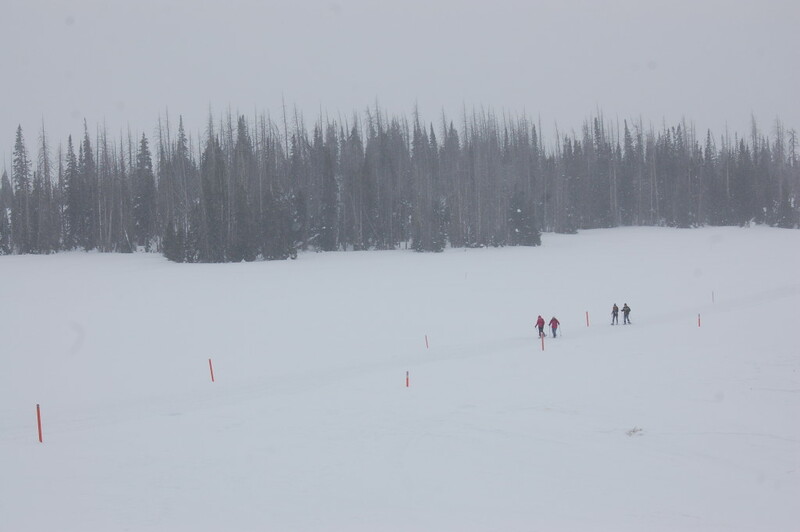 Trail characteristics: Guests will be snowshoeing on graded snow terrain suitable for snowmobiles, cross-country skiers and snowshoe walkers. Guests should be aware that Cedar Breaks National Monument sits at an elevation of 10,000 feet, which makes aerobic exercise more difficult. Hikers should prepare to move at a slower pace and listen to their body as they get used to the elevation and the elements. The hike is suitable for most ages, but guests should be in good physical condition with decent stamina and balance on soft and slick surfaces. Guests should dress appropriately for below-freezing temperatures experienced on the hike. 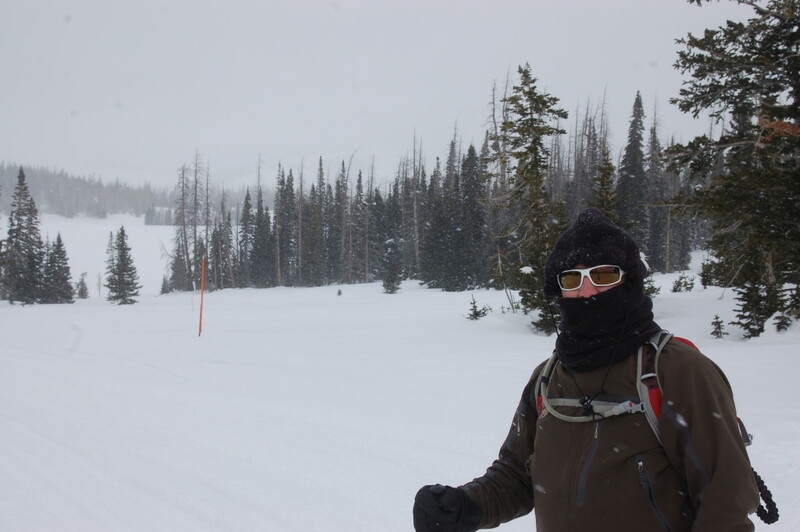 Proper clothing should include a breathable base layer, waterproof outer layers such as snow pants, jackets and gloves, waterproof snow boots or hiking boots and a warm hat. Additional gear might include sunglasses or goggles, a scarf or a balaclava. Even though it is winter, guests should bring enough water to stay hydrated and sunblock to protect any exposed skin from sun burns and sun damage. 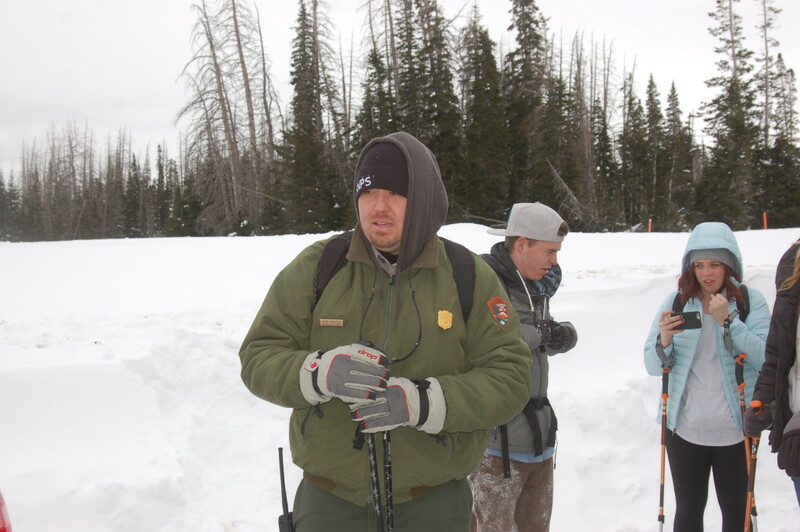 There are no restroom facilities available in the park during winter months. 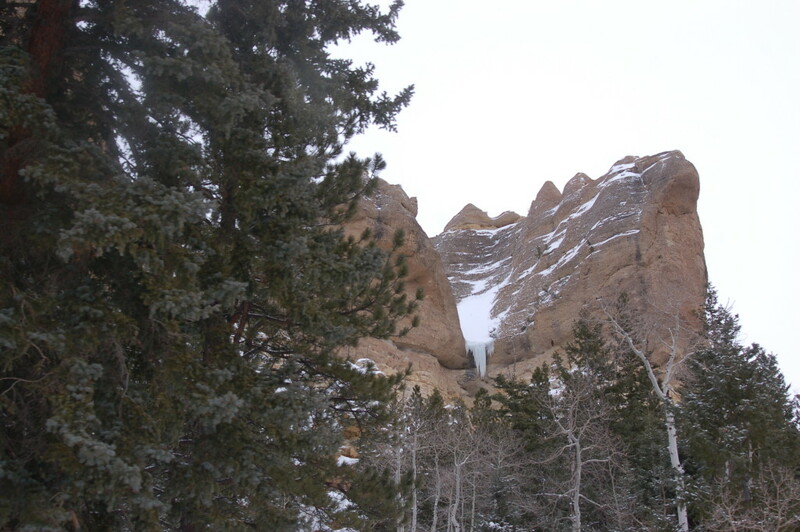 Guests should plan to use the restroom before beginning the hike. Guests should be aware that snowmobilers share the trail and should move to the side of the trail when being passed by these motorized vehicles. Snowshoes and trekking poles are provided free of charge. Guided hikes are dependent on weather and will be canceled in the event of white-out and other dangerous weather conditions. 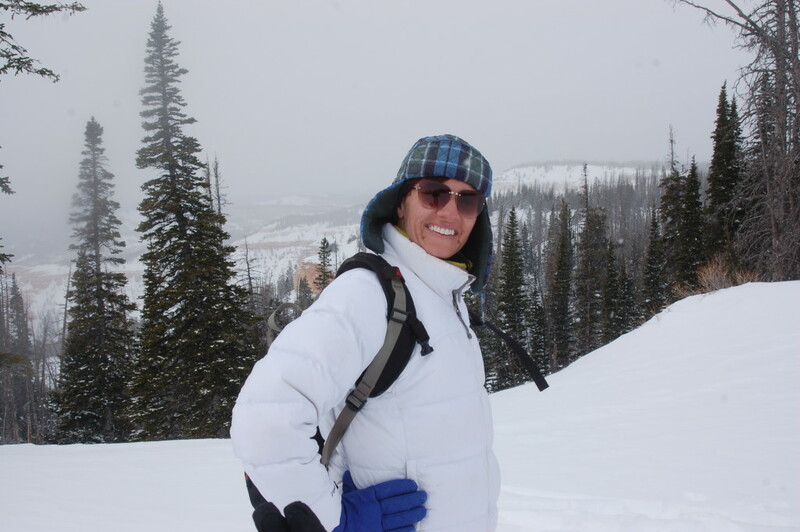 Reservations are required for the guided snowshoe hike and can be made by calling 435-586-9451 ext. 4425.